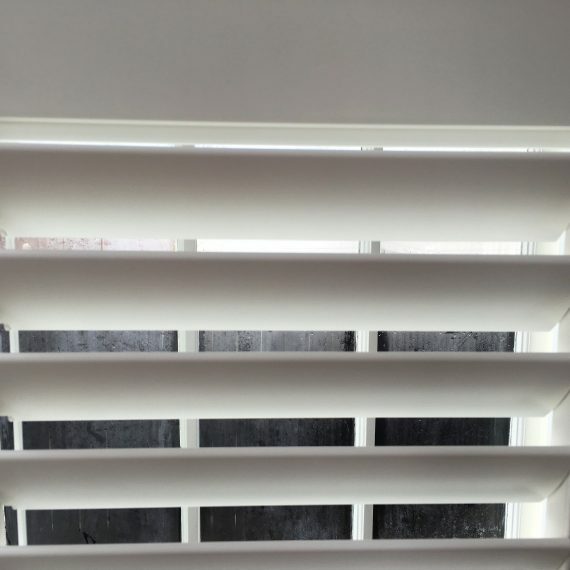 Mesh fabric Ziptrak blinds in Bombay. 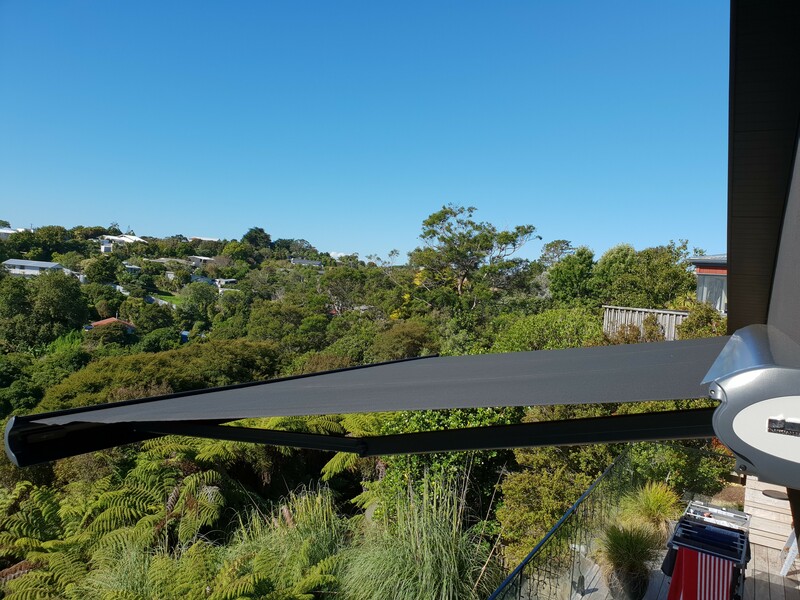 Gigantic 5.6 m wide by 2.3 m drop screen with ShadeView Urban Pewter 5% fabric. 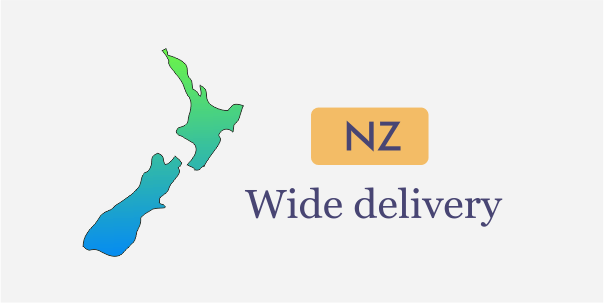 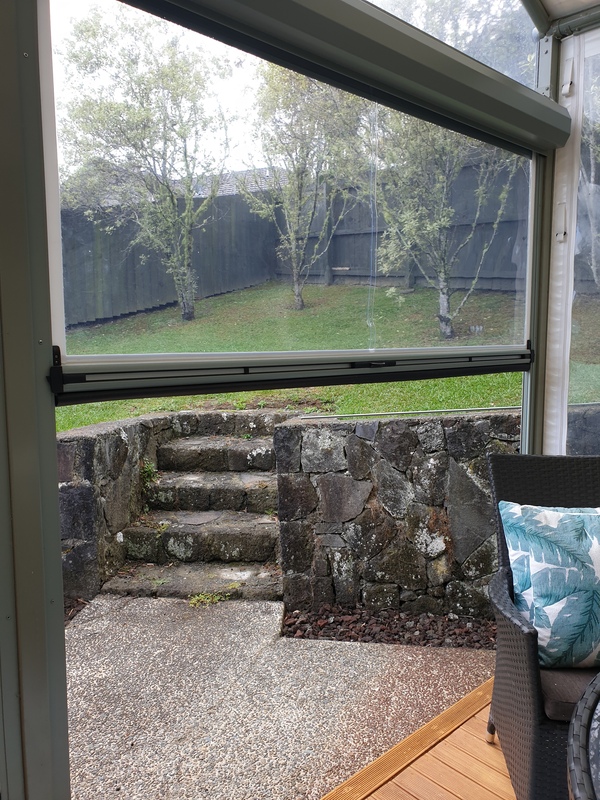 Clear PVC Ziptrak screens installed in Glen Eden. 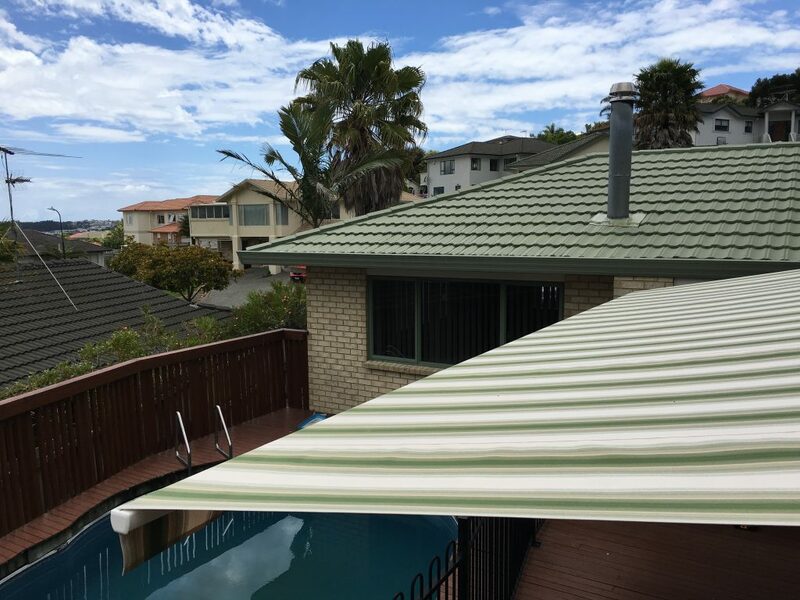 Fitted with 135 mm protective pelmets and Dulux custom powder coated. 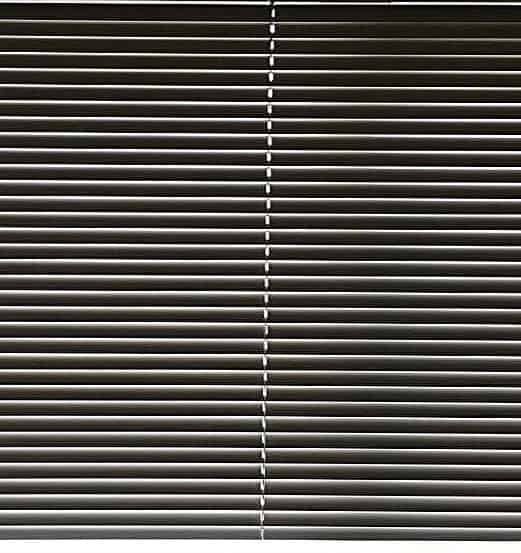 High quality clear PVC from Japan. 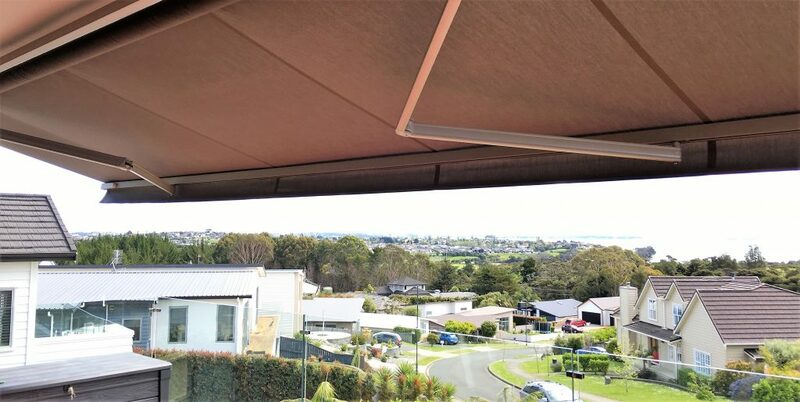 Fetuna Cassette Awning on Waiheke - 3.5 by 2.0 meters in a charcoal cassette with Somfy automation package. 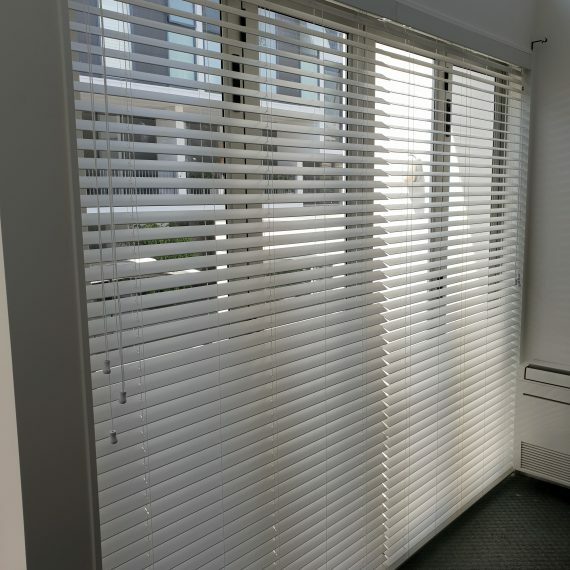 Fitted with a 3D motion sensor. 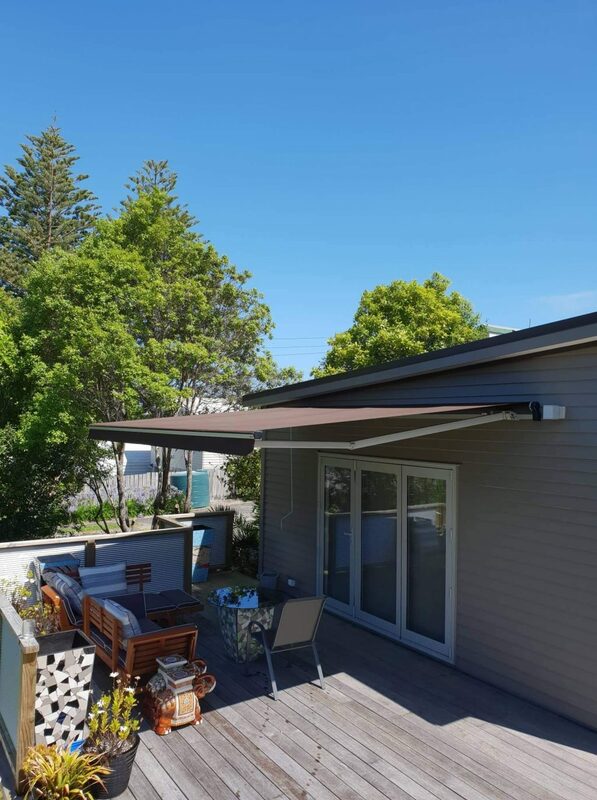 Automated 4.2 by 1.0 Vertigo drop arm awning in Grey Lynn. 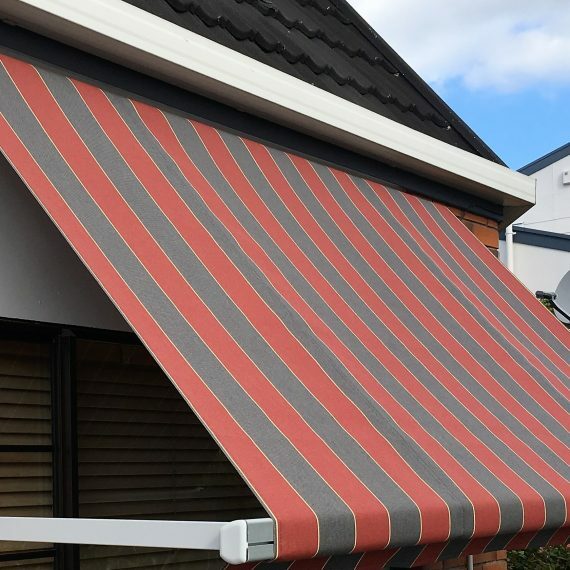 Reliable and easy to operate, this awning has a great wind resilience due to having 4 fixing points. 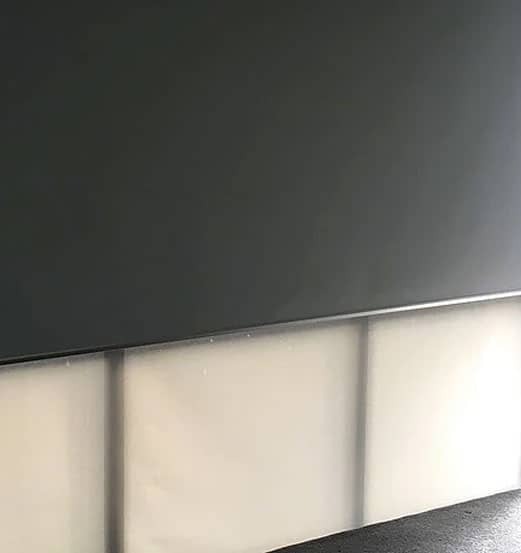 Ziptrak screen with Docril acrylic canvas. 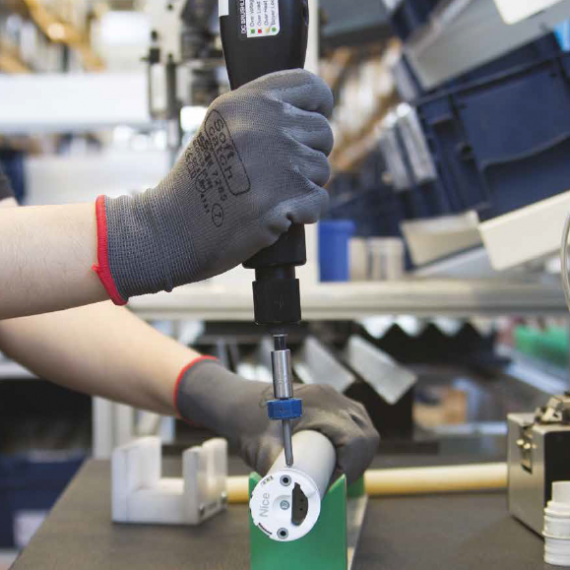 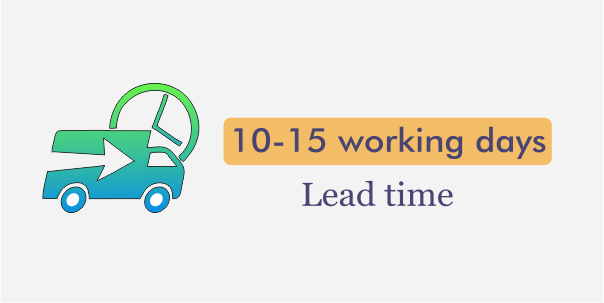 Manually operated and equipped with a pull handle to guarantee the easiness of operation. 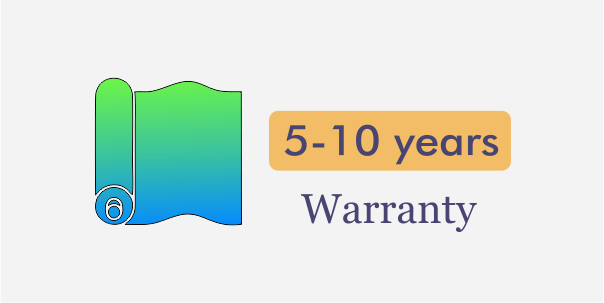 Full thermal protection of the interior. 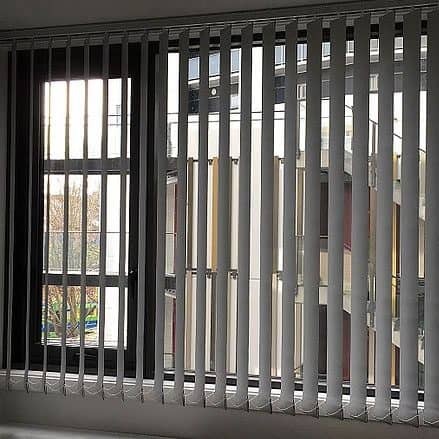 Fully protected by an aluminium pelmet. 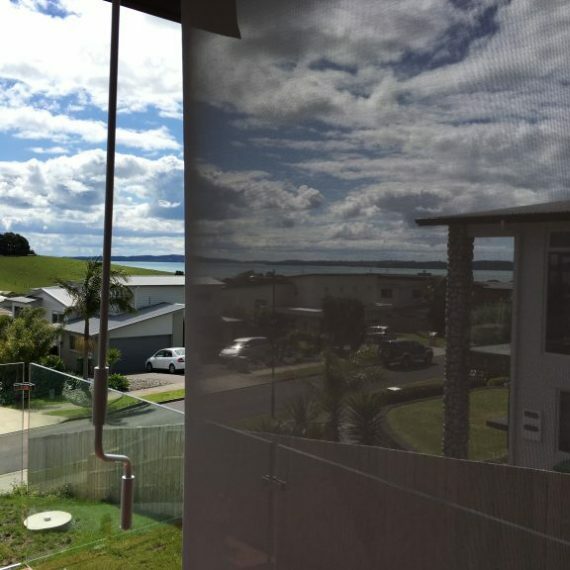 Custom powder coated clear PVC Ziptrak blinds in Whangaparaoa - a great addition to a fabulous deck. 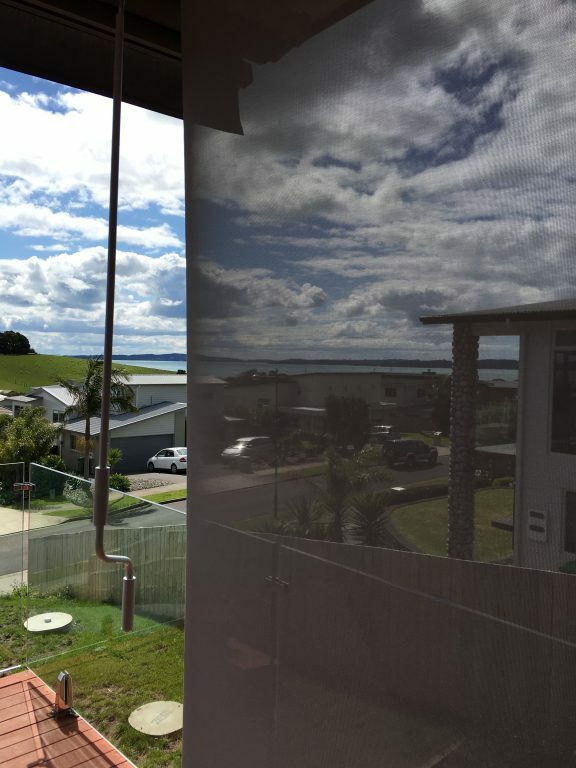 Fantastic wind and rain protection and easiness of use - that is all about our Ziptrak drop down screens. 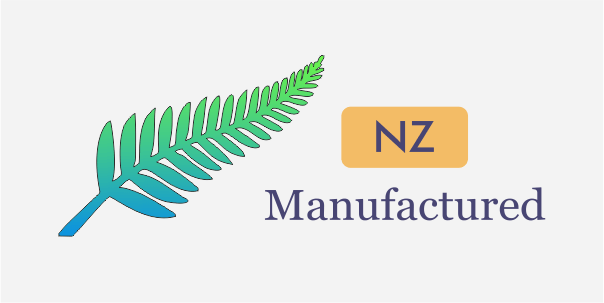 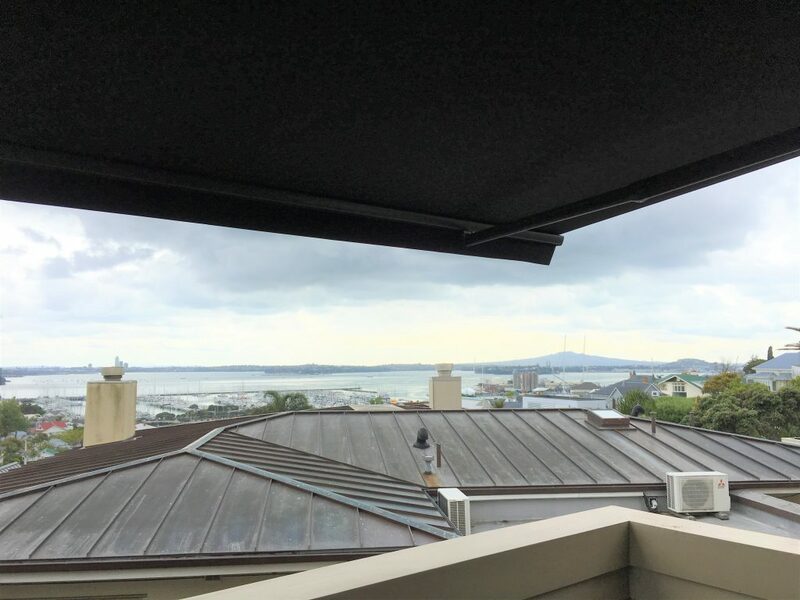 Fetuna Cassette Awning in Manurewa - a 4.2 by 3.5 fully enclosed automated awning with a wind sensor! 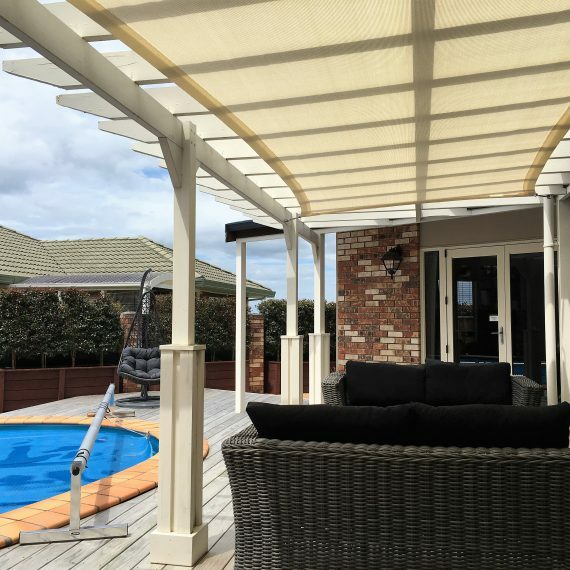 Stunning amount of sunshade and simply beautiful addition to the deck. 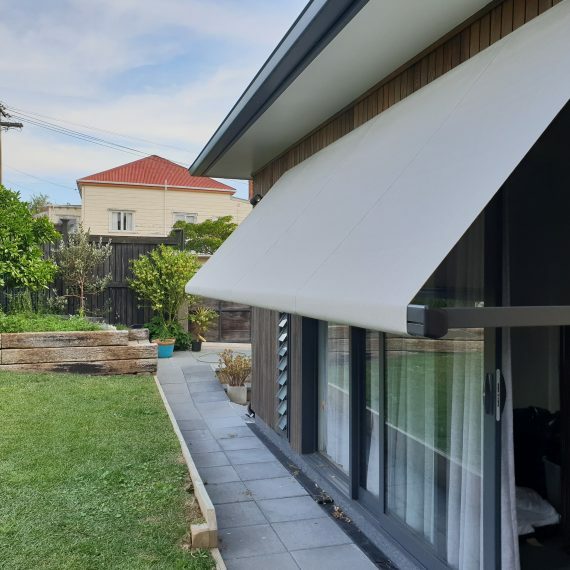 Vertigo or spring arm awning is very reliable and wind resistant - it has 4 fixing points and can offer excellent sunshade - it drops up to 90 degrees from the wall. 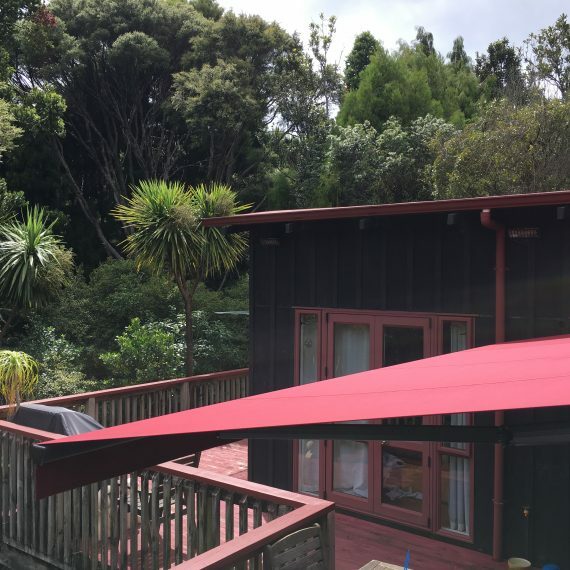 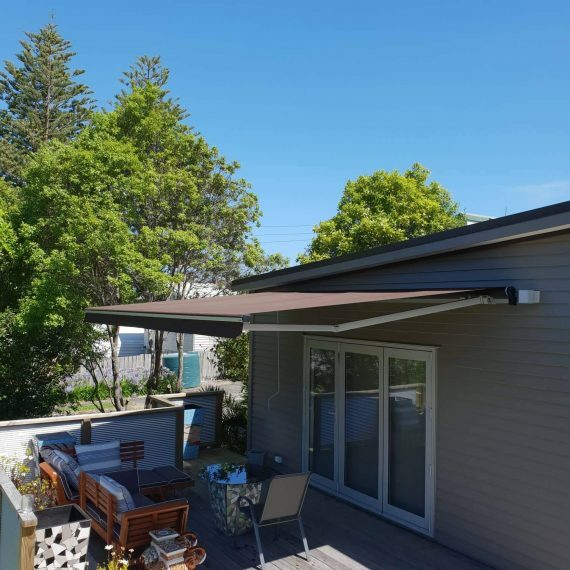 Bright and elegant - retractable awning in Maraetai. Covering 12 square meters, it is operated with a sturdy crank and installed on a weatherboar wall. 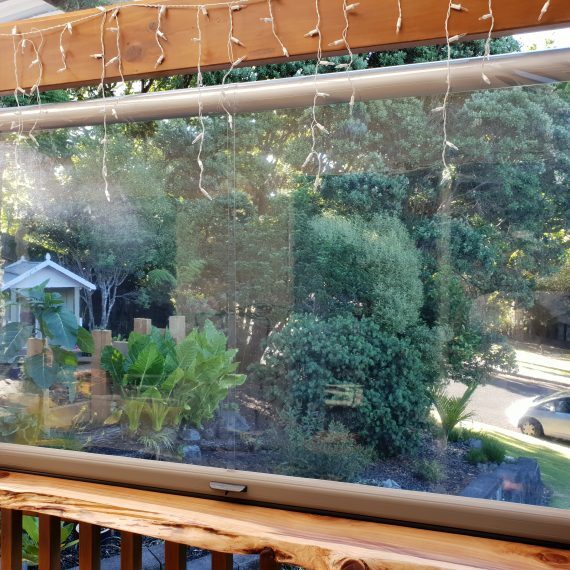 What a perfect Christmas gift! 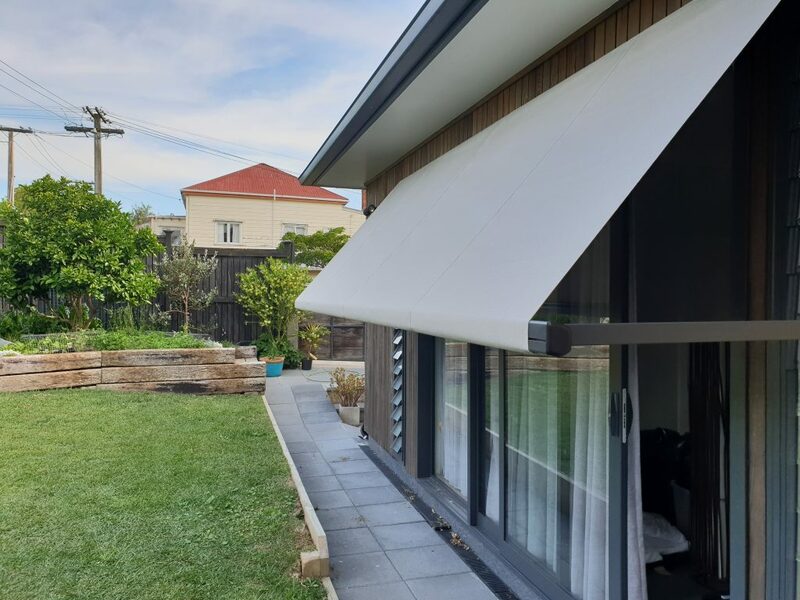 Right on time for some sunny weather - a 4.5 by 2.5 manual retractable awning with charcoal components and plain Docril fabric. 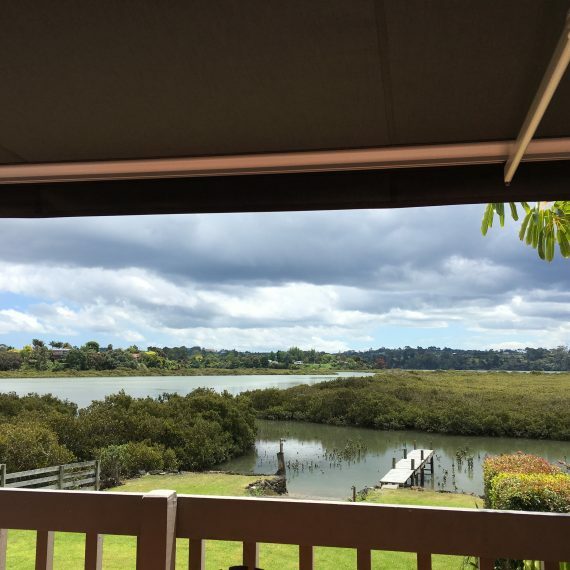 What a beauty! 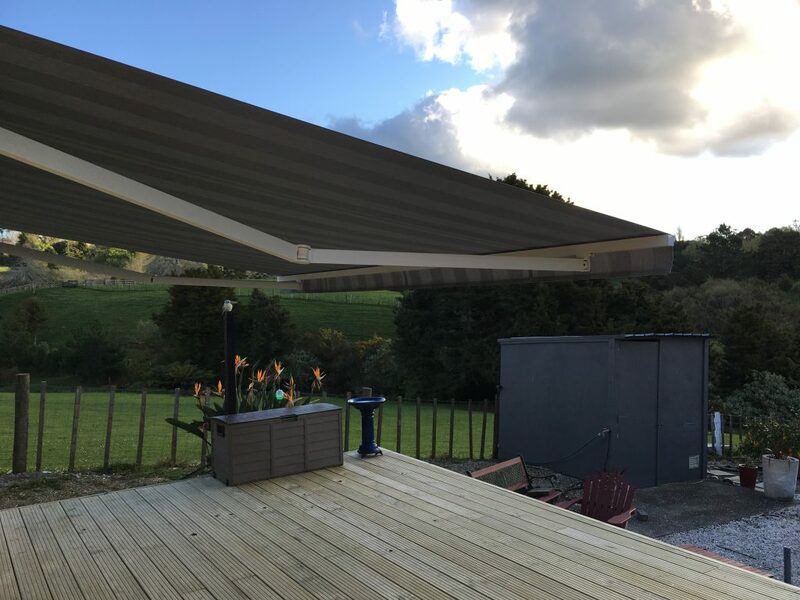 4.5 m wide and 2.5 m in projection - this fully enclosed awning creates heaps of additional outdoor living space is a treat to anyone's eyes! 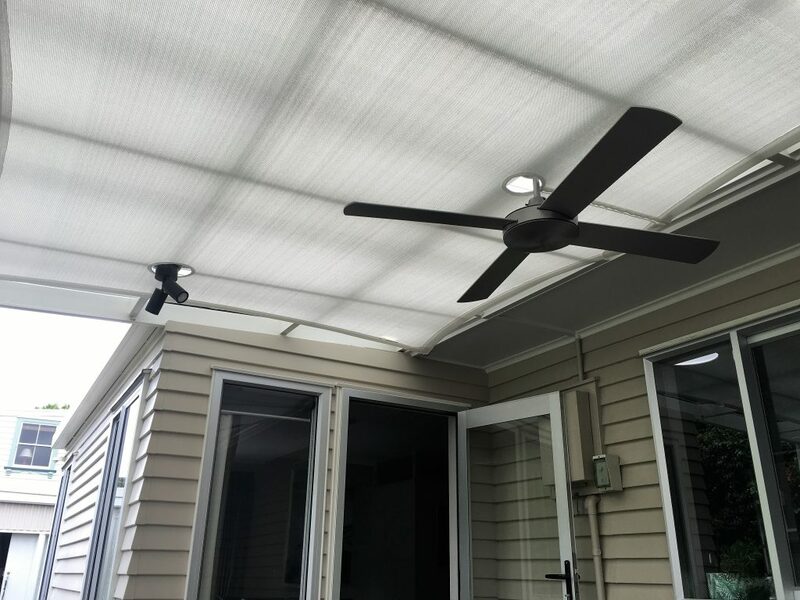 Topline retractable awning with Alpha motor and 3D motion sensor installed in Hillsborough. 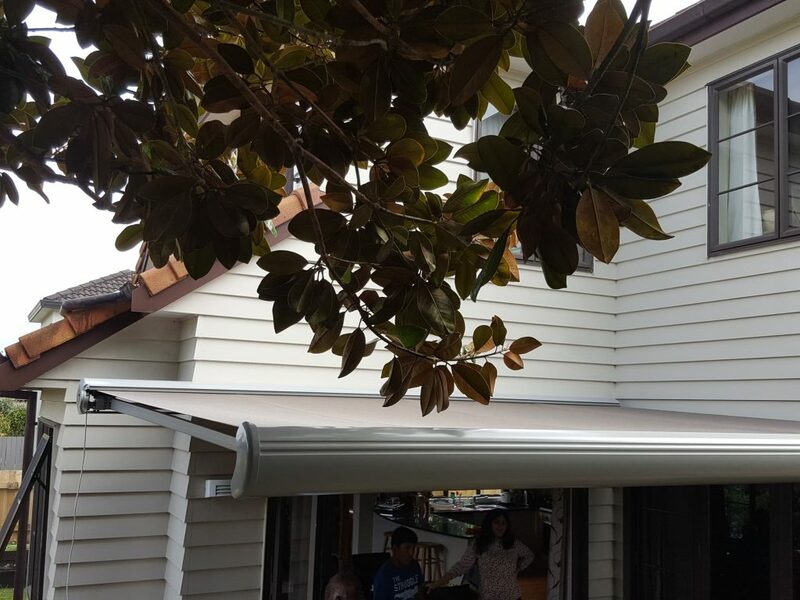 Fitted under an existing soffit it is hidden from elements and dust. 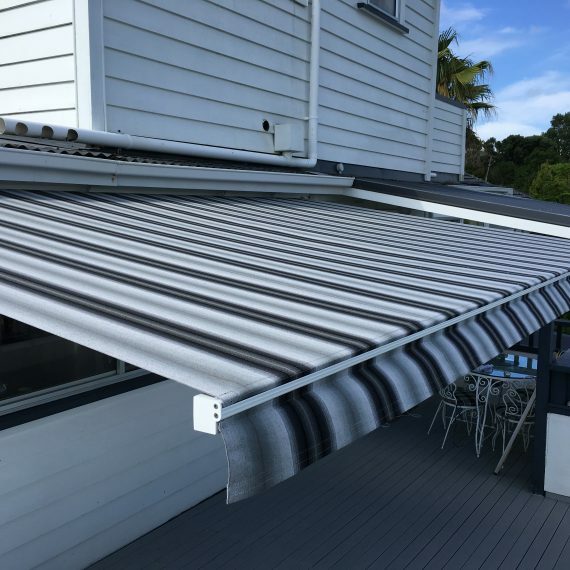 Alpha automated retractable awning in a waterfront property on Herald Island. 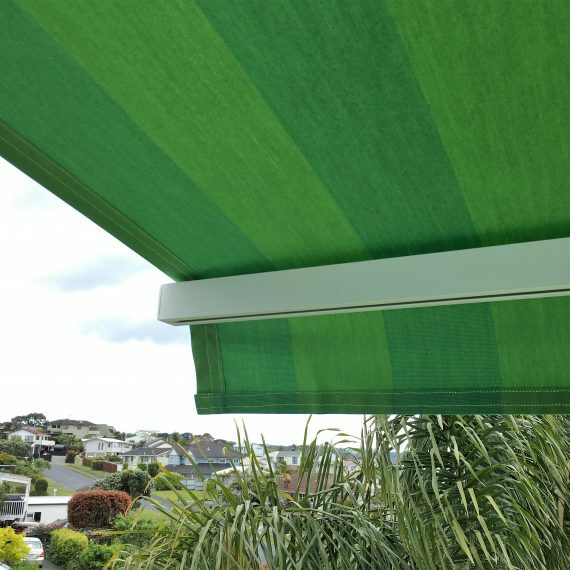 Easy to operate and adjust, this folding arm awning is a treat for eyes. 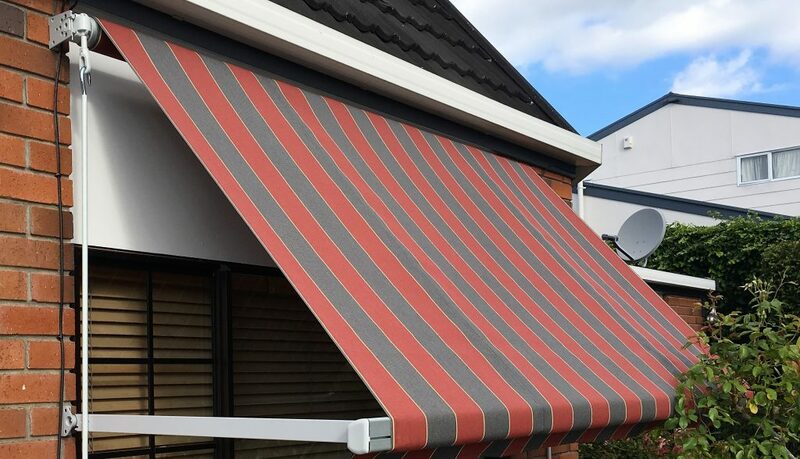 Calm and vivid coloured retractable awning with custom made soffit brackets allowing the awning to be installed under a soffit and allowing more headspace. 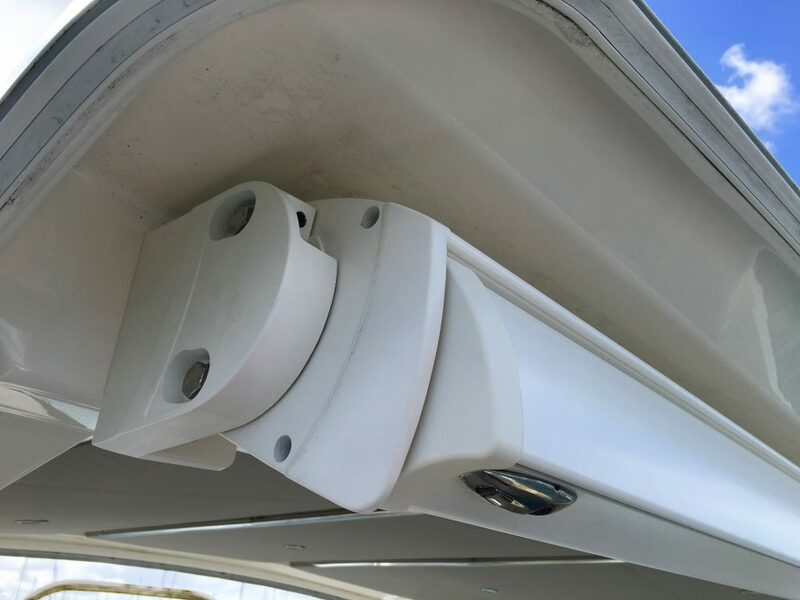 Sturdy and reliable Integral Cassette awning with a French Simu 24V motor installed on a motor boat parked in Westhaven Marina. 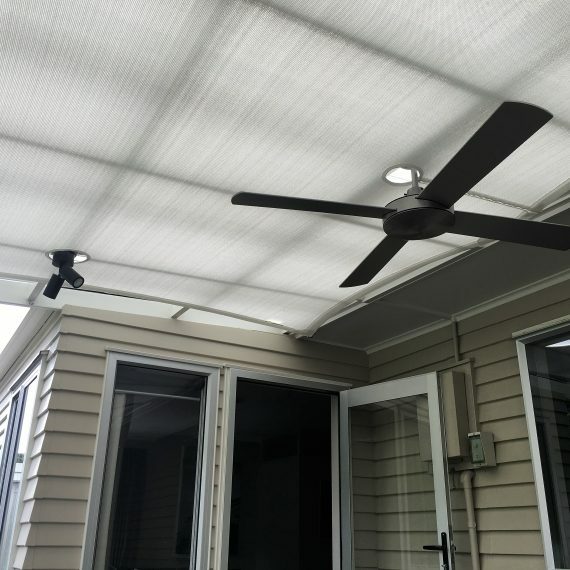 Custom made shade sail with precisely made custom openings for the fan and outdoor lighting. 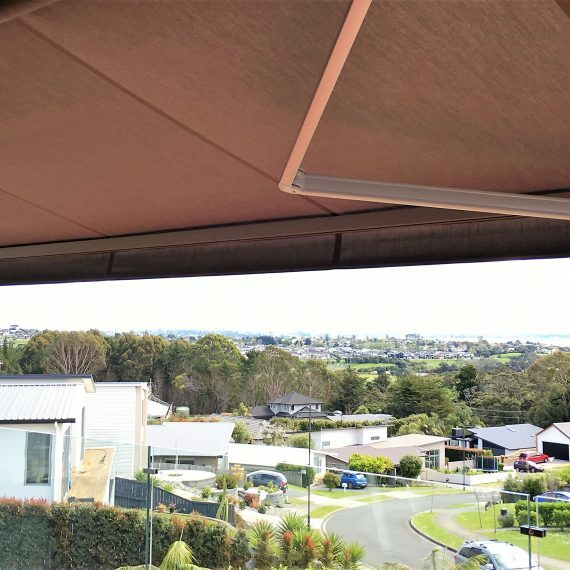 Vivid and bright 2.5 m by 2.0 m Ellipse Monobloc awning in Manurewa. 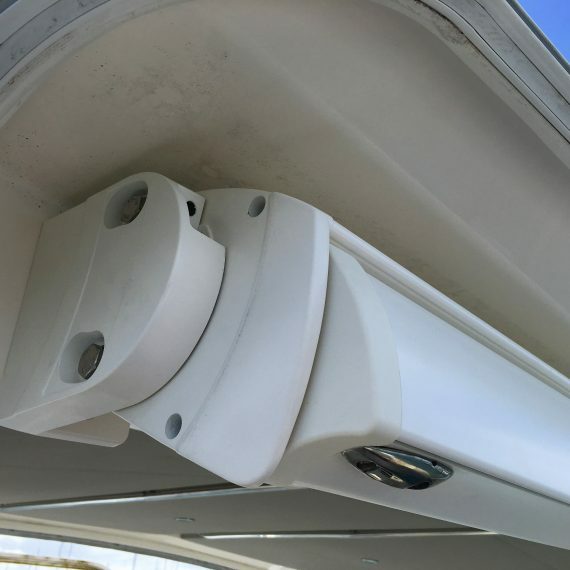 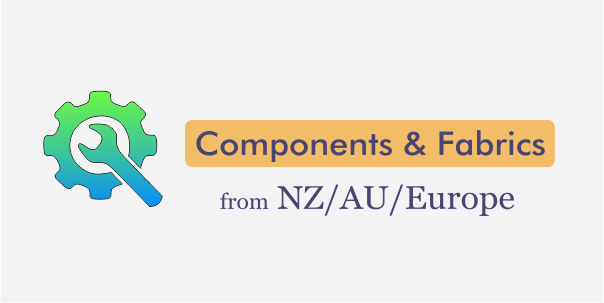 Light and easy to use with a quality crank. 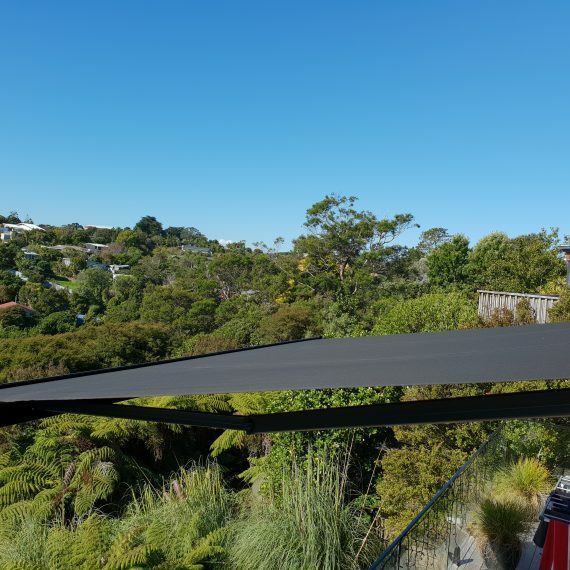 Installed a high quality NZ made shade sail under a wooden pergola in a property in Orewa. 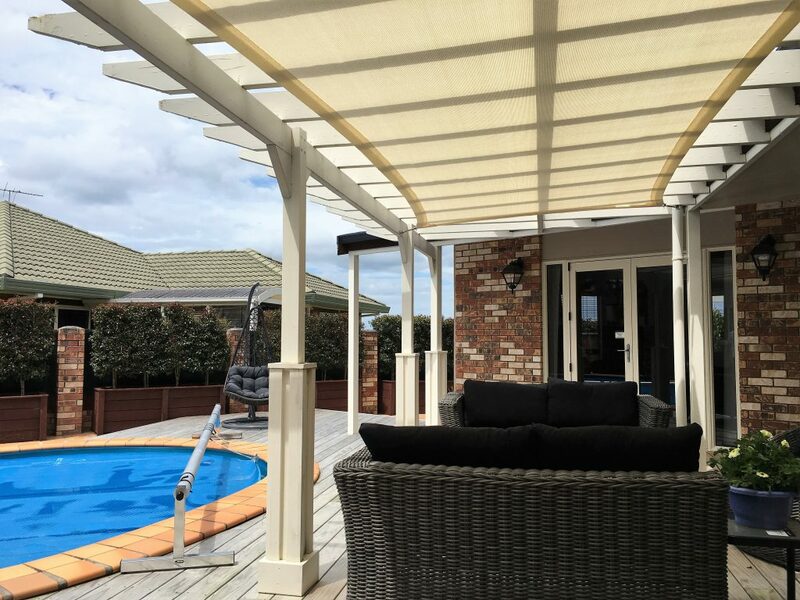 Manufactured using a high strength fabric in an elegant Coastal Cream colour it'll protect the outdoor furniture from fading and create additional living space. 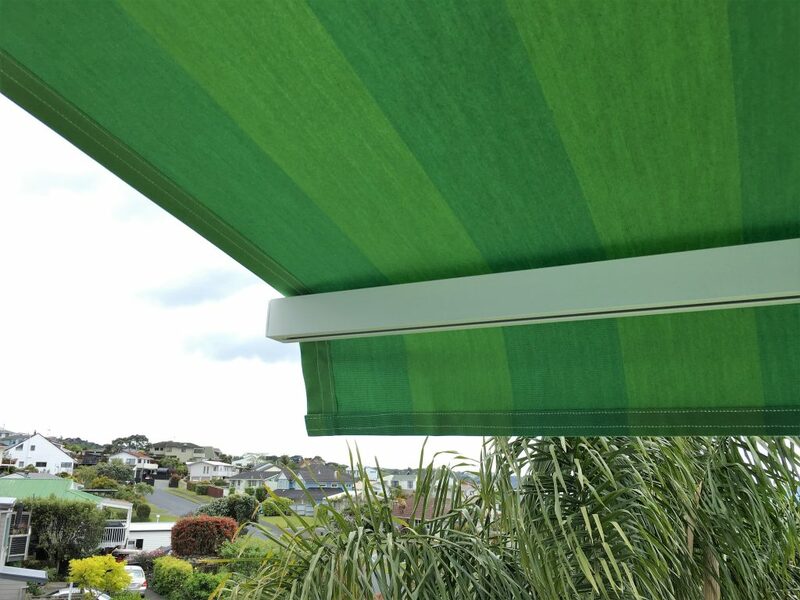 Bright and juicy green retractable awning on a balcony in Snells Beach. 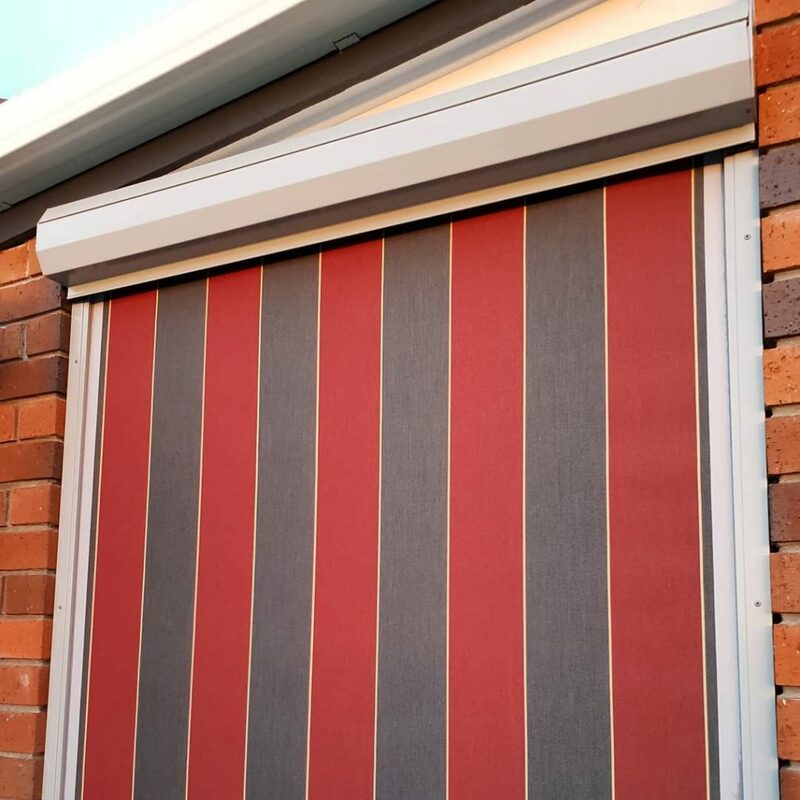 It definitely added some liveliness to the exterior of the house. 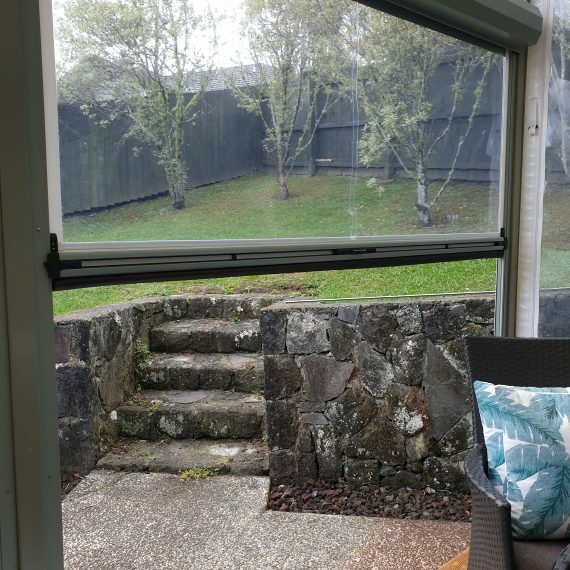 Crank operated drop down screens protecting the balcony from the winds. 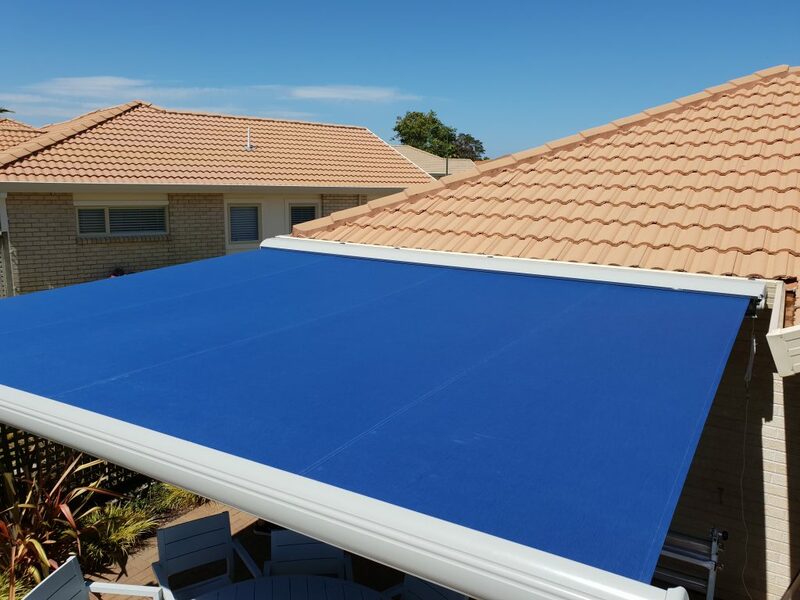 Quality mesh fabric and sturdy components. 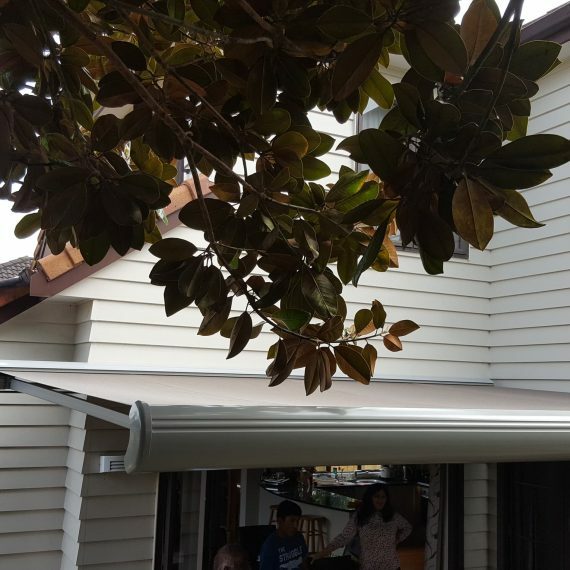 A 5.6 meters wide retractable automated retractable awning fixed under a soffit. 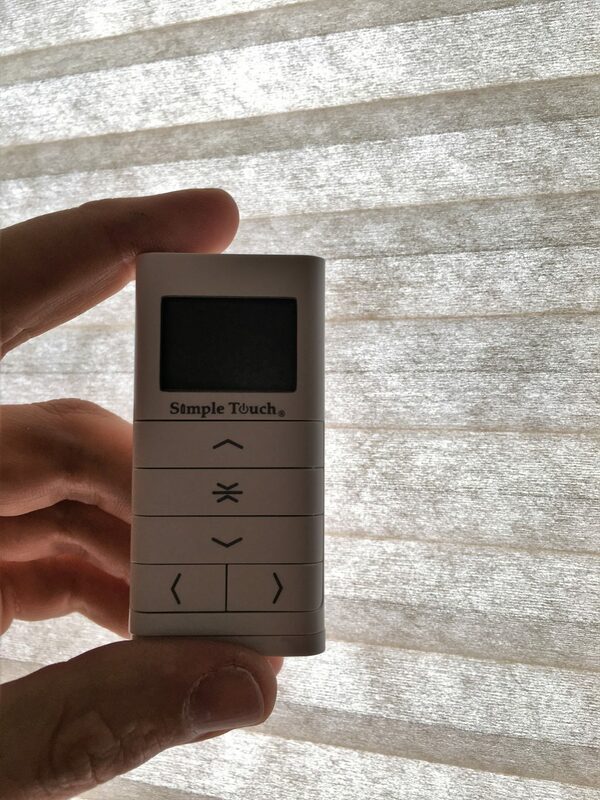 Premium Somfy motor, remote and motion sensor. 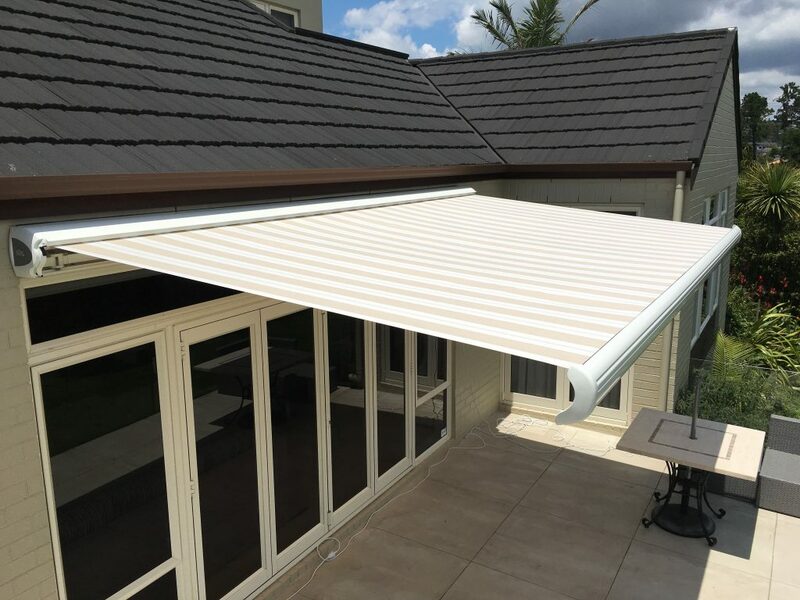 Heavy-duty retractable awning with an aluminium hood installed to protect the fabric from the elements. 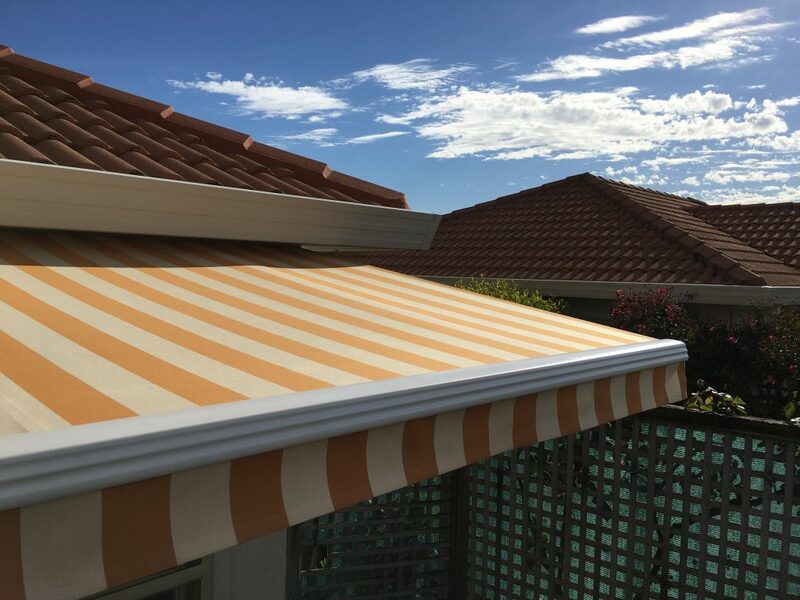 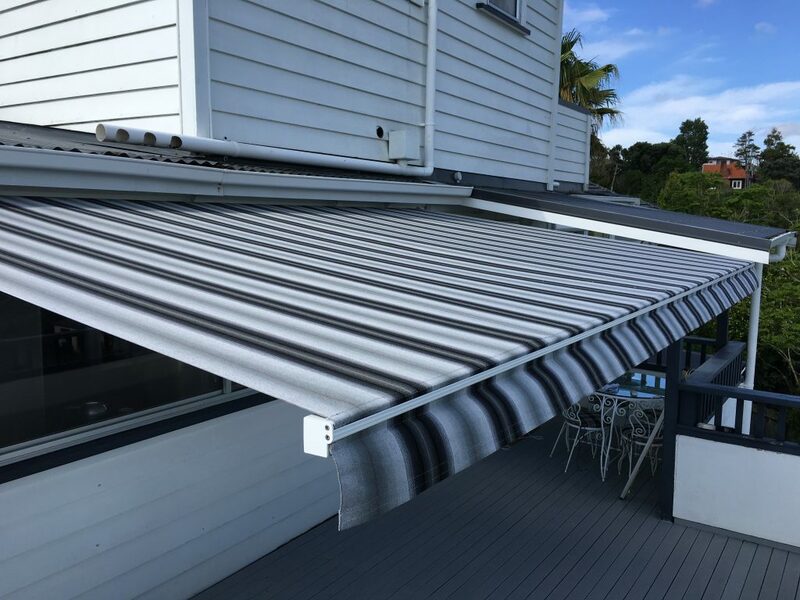 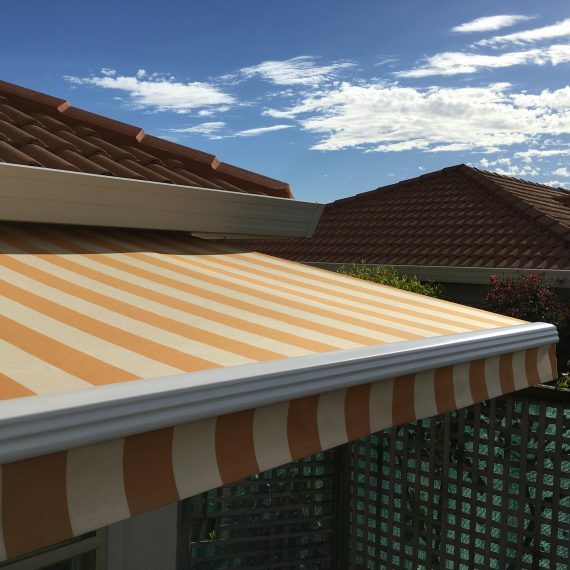 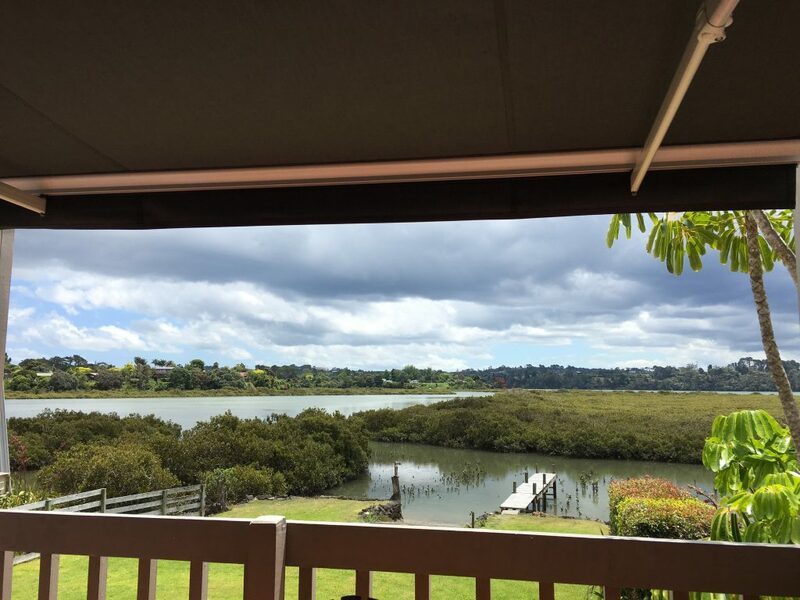 Charcoal components and black fabric - perfect duet for a retractable awning in a classy suburb of St Marys Bay. 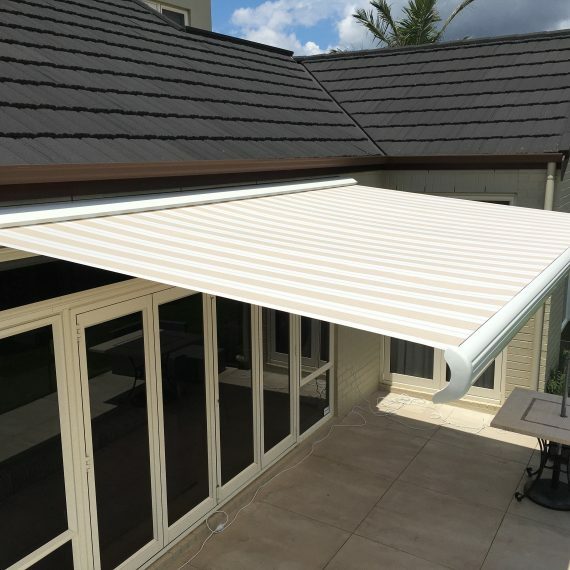 Exceptionally elegant fully enclosed retractable awning with a premium motor and a remote. 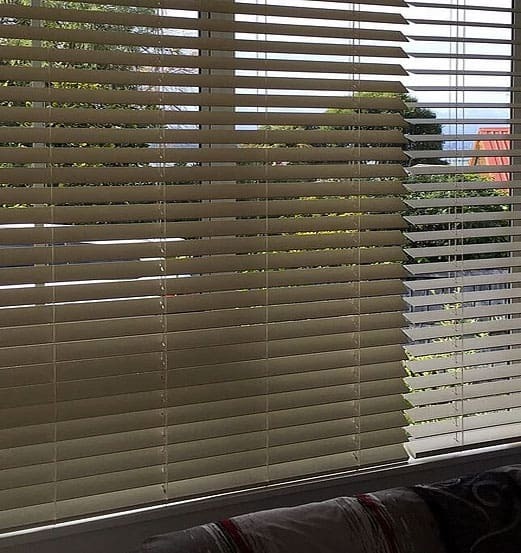 50 mm PVC venetian blinds in CBD - nice looking and suitable for areas with high humidity. 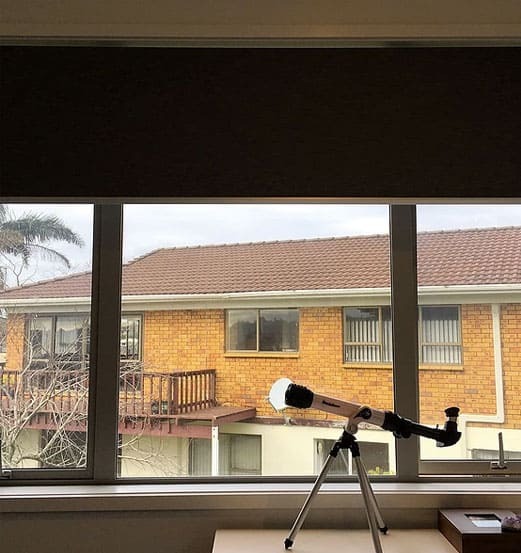 Installed in an apartment next to Victoria Park. 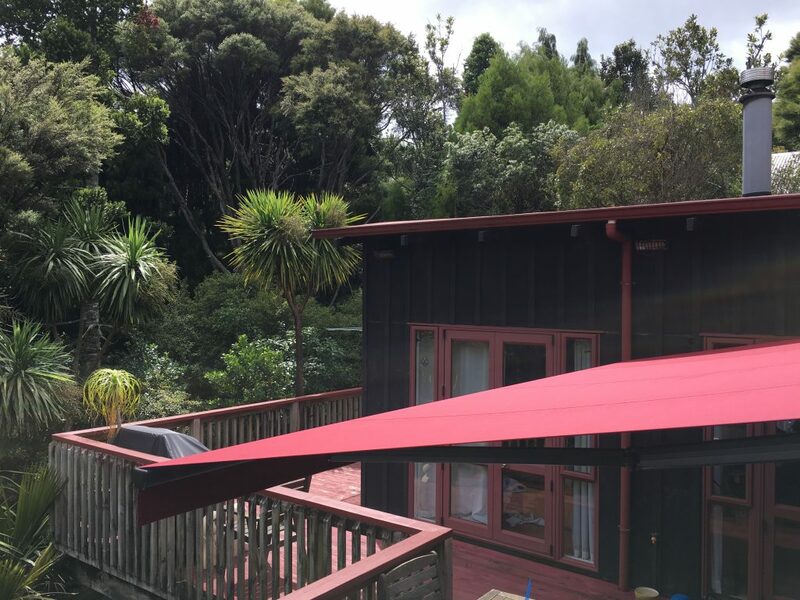 20 mm pleated blind in Red Beach - installed on a skylight window to block excessive sun and UV. 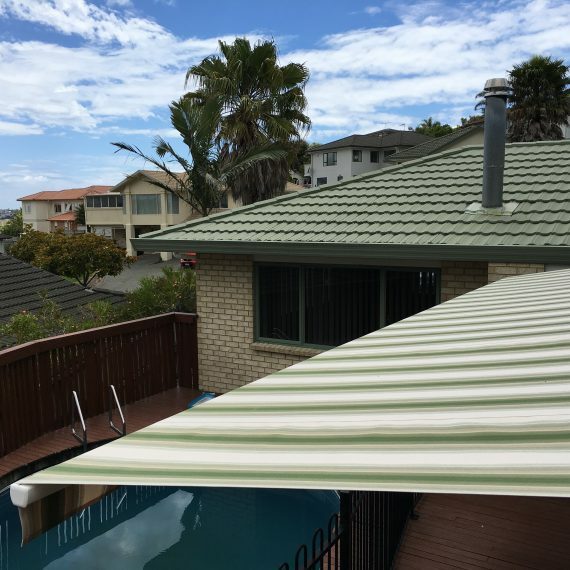 Equipped with an aluminium pole to operate from the floor. 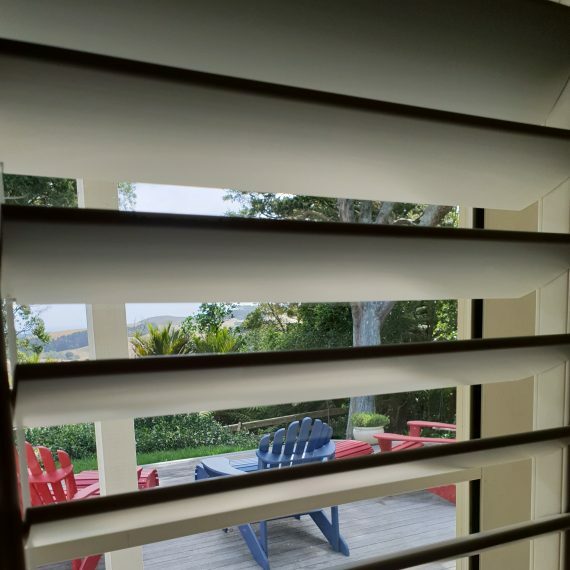 63 mm PVC indoor shutters, installed in a farm style house in Muriwai. 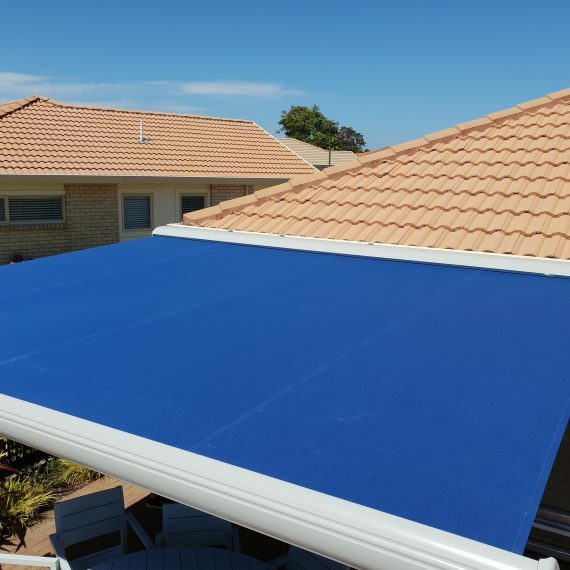 Covering 2.3 by 2.1 meters, they provide excellent sunshade and privacy, while keeping it easy to control the sunlight. 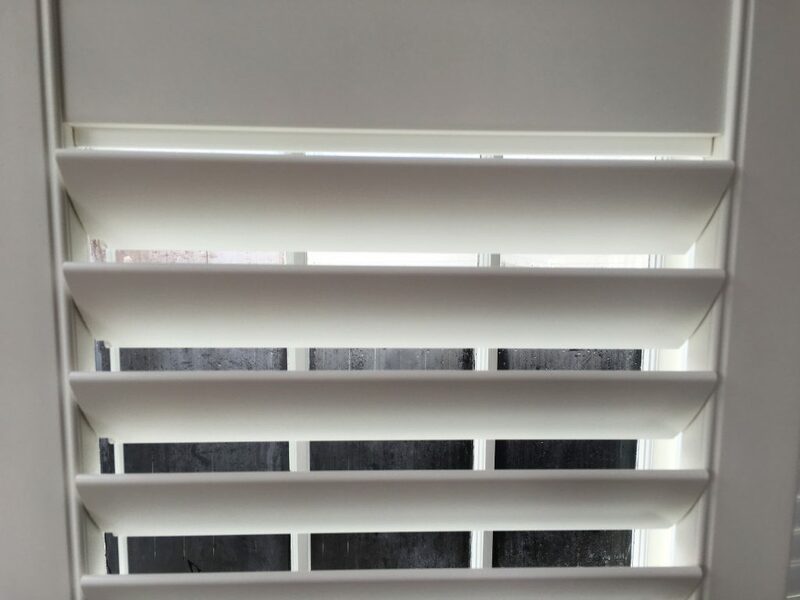 White PVC indoor shutters with brass hinges in a fully enclosed frame and a T-post with 4 double hinged panels. 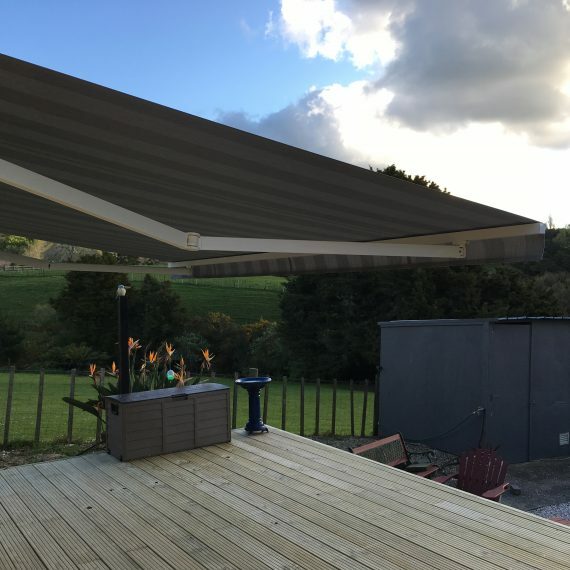 Clearview tilting mechanism providing with a seamless look. 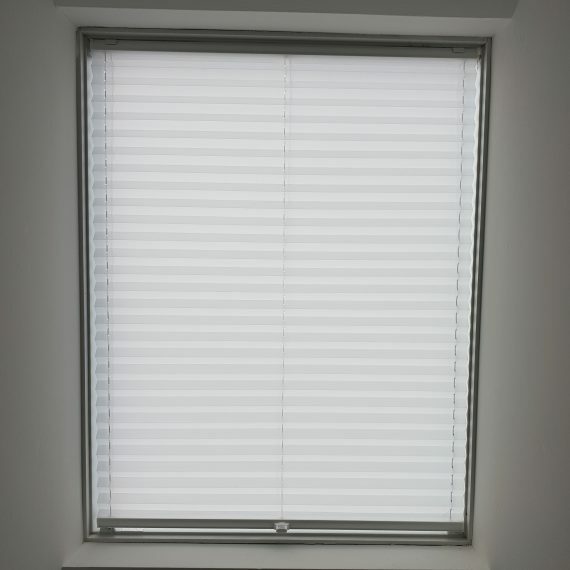 White PVC venetian blinds in a lounge. 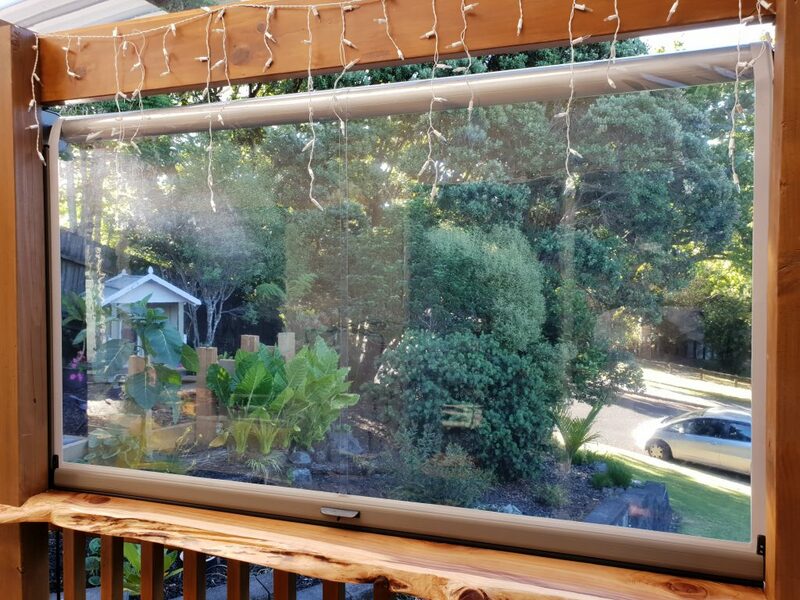 Great for big windows and offers a variety of operation modes. 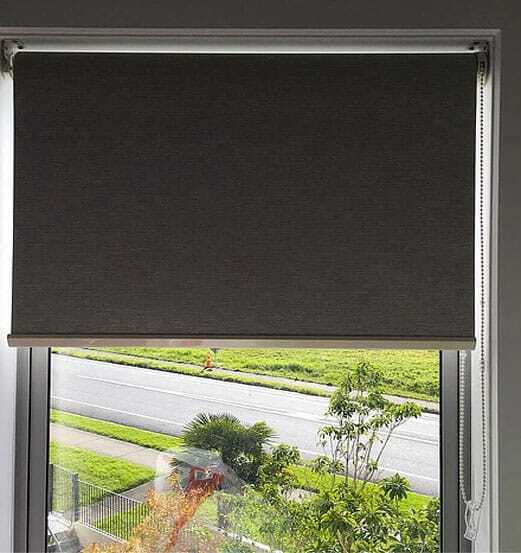 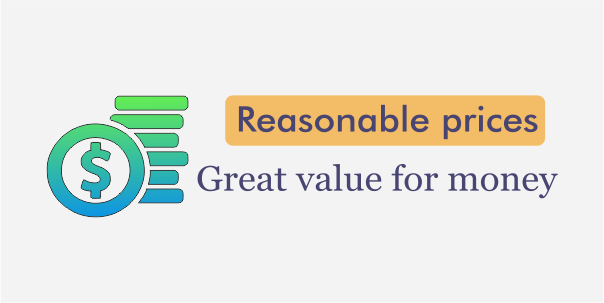 Is suitable for humid rooms, such as bathrooms or kitchens. Wire-free motorised cellular blinds for a tech savvy customer. 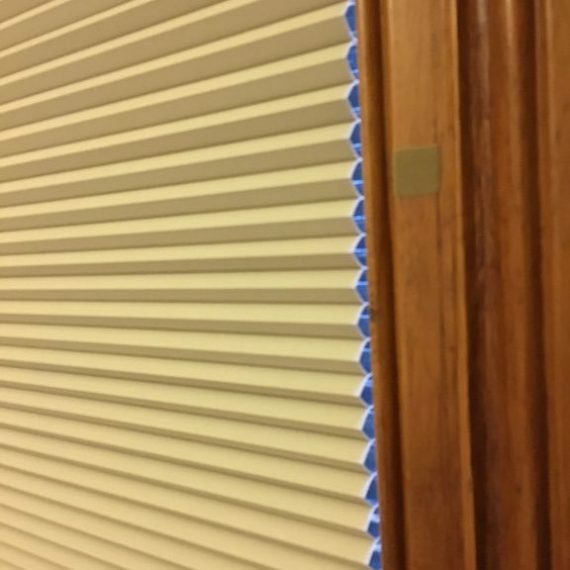 Easily installed and maintained, these honeycomb blinds provide privacy and amazing light control. 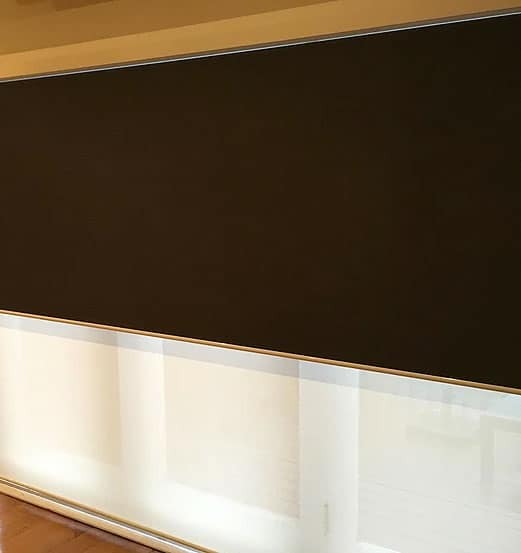 Successfully replaced a motor in an existing set of 3 roller blinds and adjusted the top and bottom limits. 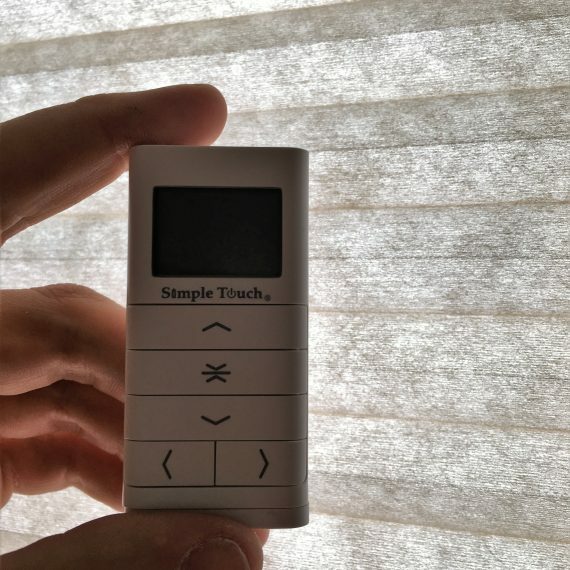 We used a hard-wired wall switch operated motor. 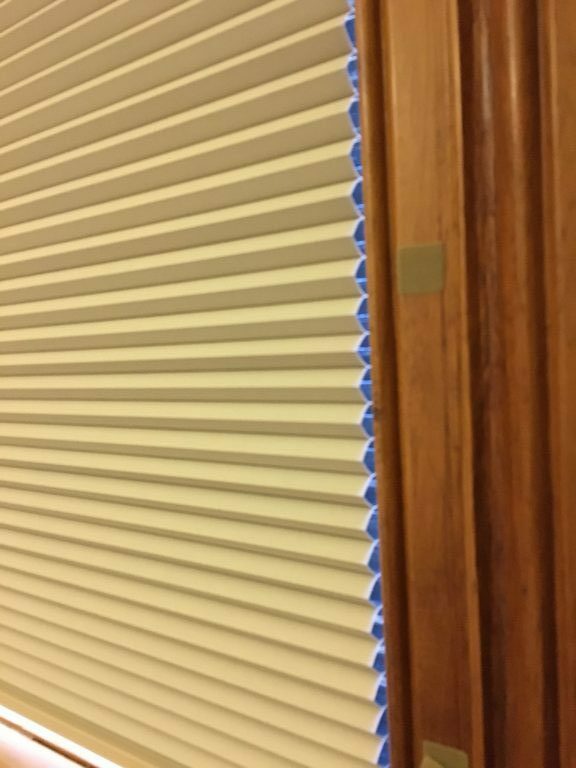 Blockout honeycomb blinds guarantee the highest insulation properties on the market. 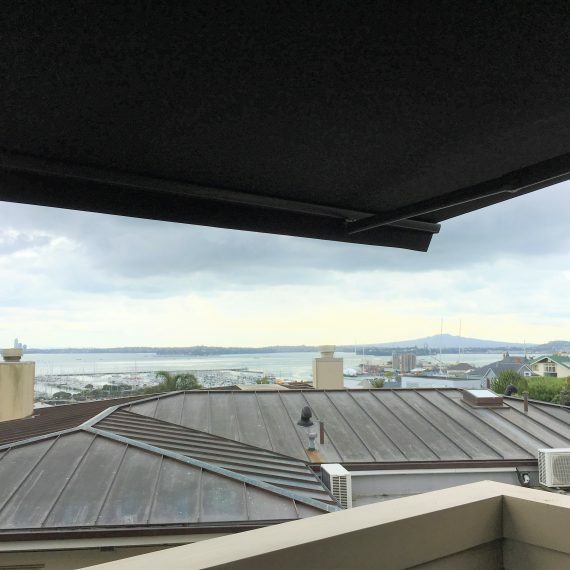 Foil covered cells are a perfect way to keep warmth inside. 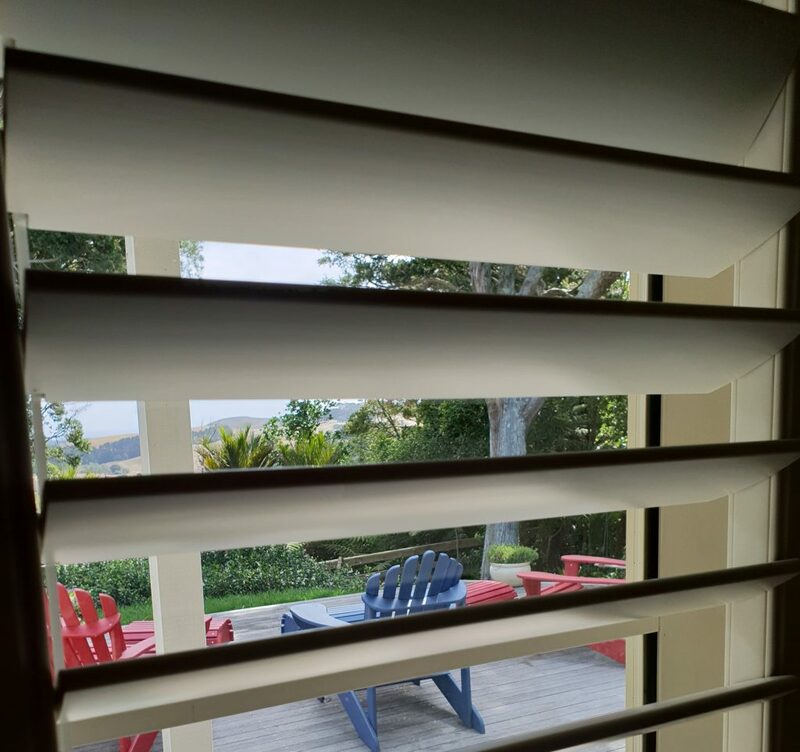 Installed high quality thermal roller blinds in a renovated house in Castor Bay. 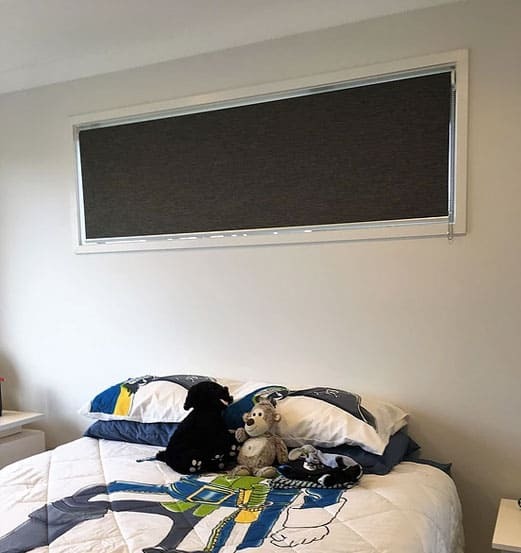 Great add-on for a neat bedroom. 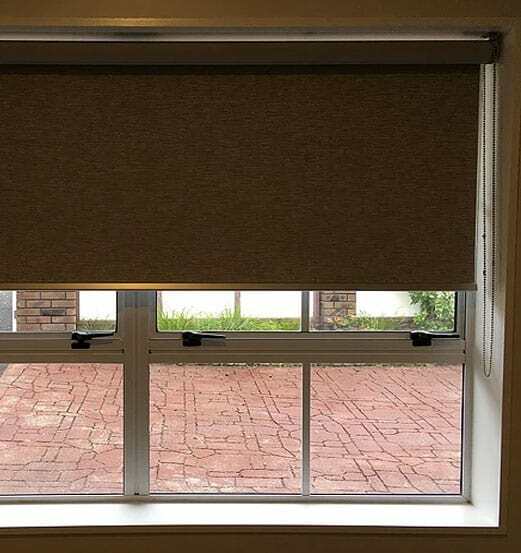 Elegant thermal roller blinds in a children's bedroom. 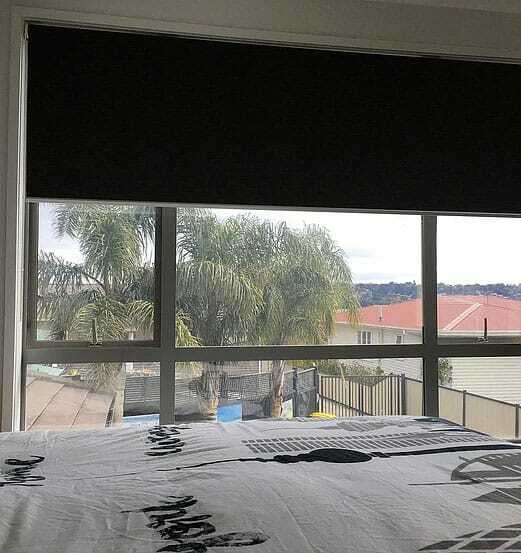 Total sun protection and 100% privacy in a bedroom. 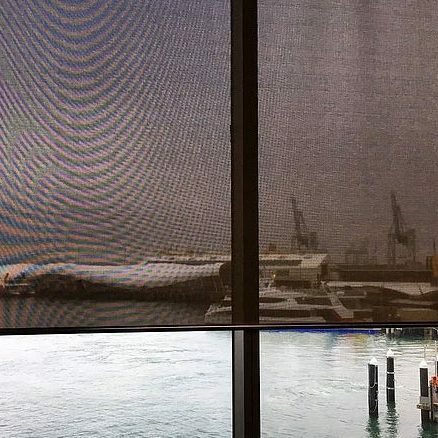 Fixed a sunscreen roller blind in an office overlooking Queens Wharf. 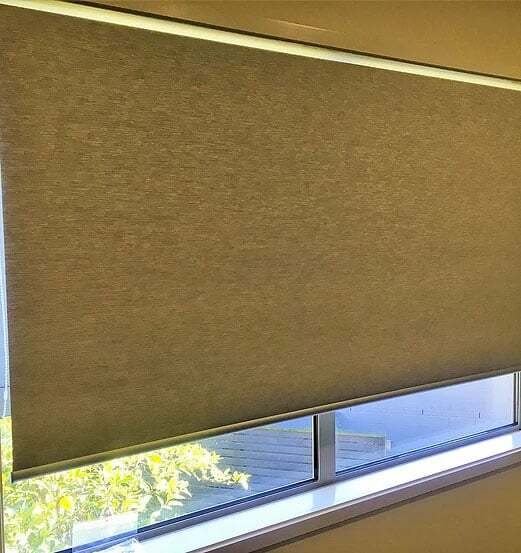 Great contrast of dark grey thermal fabric and white walls. 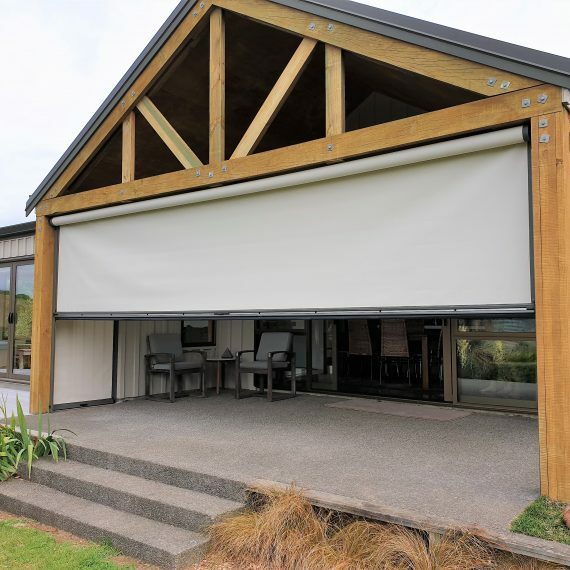 Roller blinds split into two to allow free access to the ranch sliders. 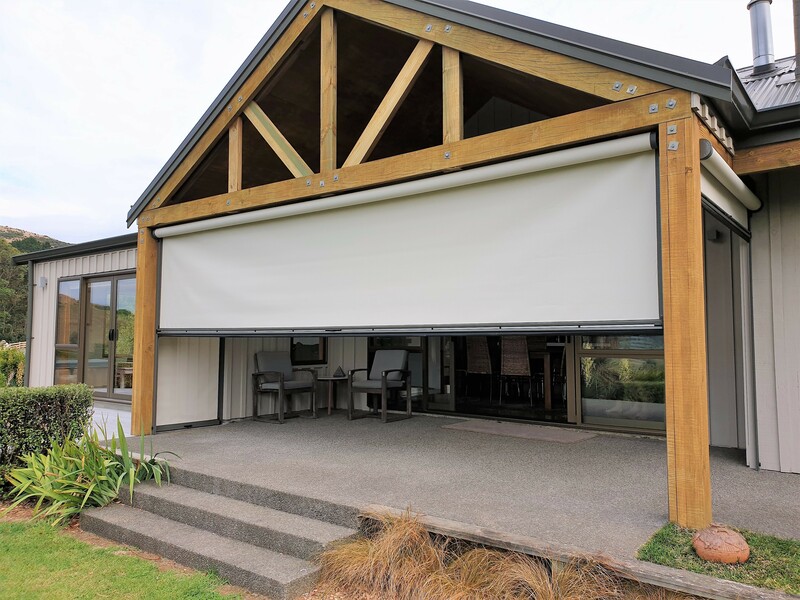 A great combination of thermal and sunscreen fabrics in a cosy lounge. 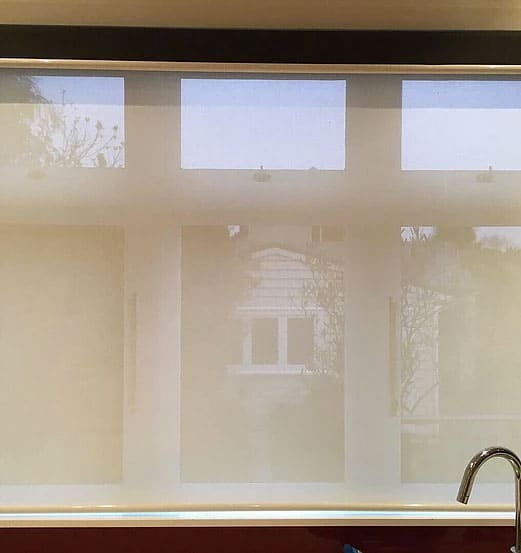 Great visibility + enhanced privacy in a classic kiwi kitchen. 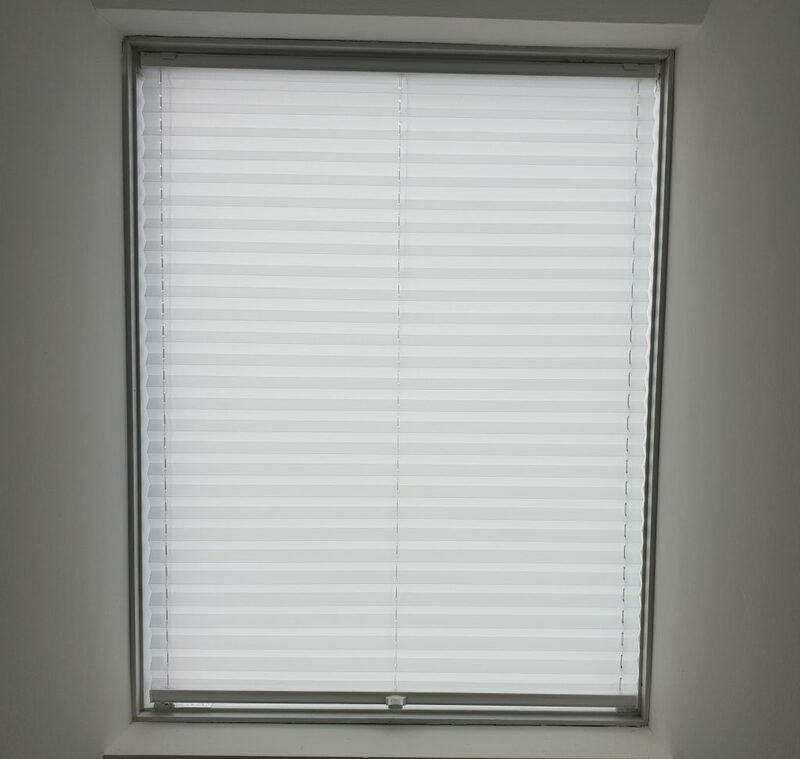 A top quality thermal fabric in a elegant contemporary bedroom. 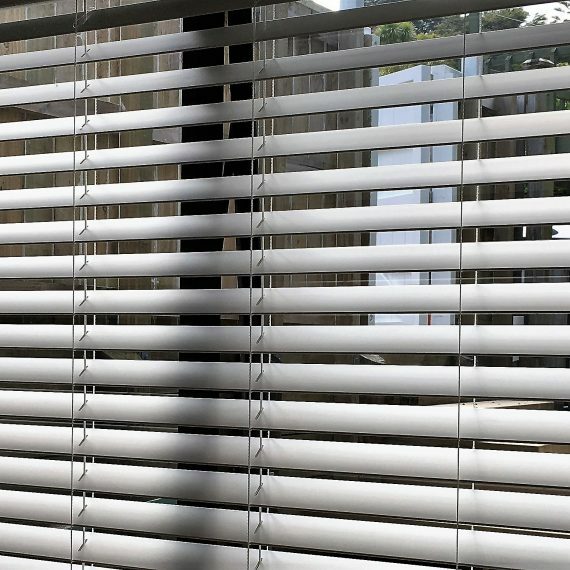 A thick and sturdy blockout fabric gives 100% privacy and UV protection necessary in a bedroom. 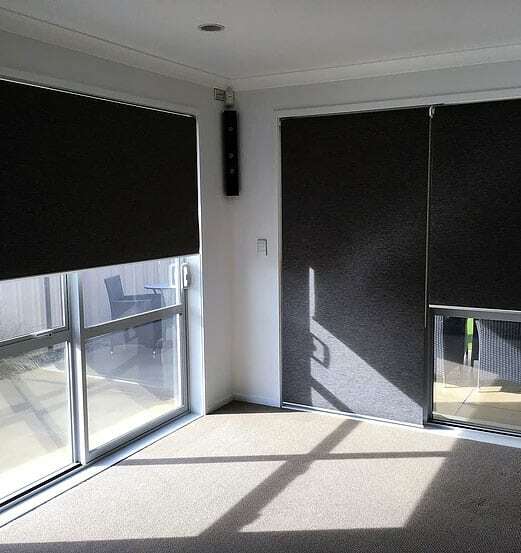 A combination of a subtle blockout fabric and a sun filtering texture is an excellent choice for an elegant lounge.